The leaked cards were right. Old news by now, but still. I've played some, and built a ton of lists, and I think I'm done with Trolls for awhile. In fact, with the exception of some release events and things I'm already volunteered for, and happily, mind you, I'll probably be stepping back from Warmchine for a bit until the meta settles out. For a ruleset that desperately wanted to get rid of spams, that's all I've seen. PP has faith it will settle out, and when it does, I'll come back to Warmachine. Might be two weeks, might be eight. Might be early next year. I don't know. The TL:DR version of where I think trolls are at right now can be summoned up in a few hotly debated bullet points that get thrown out if you step into the "Trolls can power through this" club comprised of the special snowflakes of the Facebook page. Madrak2 is literally carrying the faction right now. 1. We're an infantry faction that's being forced to take twice to three times as much battlegroup as normal. 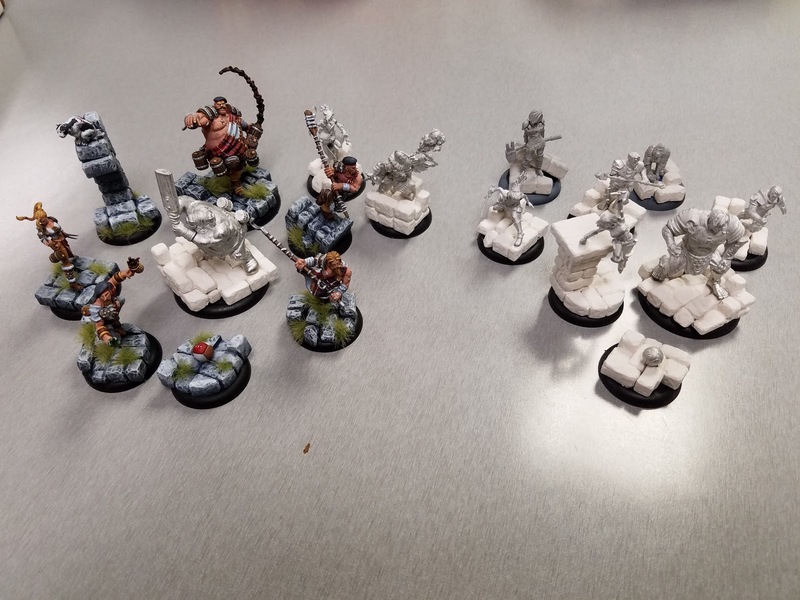 My Grim2 battlegroup stays almost the same size. However, casters like Madrak2 and the Grissels that want as much infantry and support as they can get are forced to take 30pts of beasts instead of maybe 10 to 14 (in MK2 pts). This hurts our ability to take Fell Callers, Stone Scribes, the KSB, the new Shaman, and our very improved Sorcerer. Madrak2 straight up just spams infantry and does the work himself. It's dumb. 2. We struggle to crank damage out on our infantry now with the Elemental buffs basically gone. 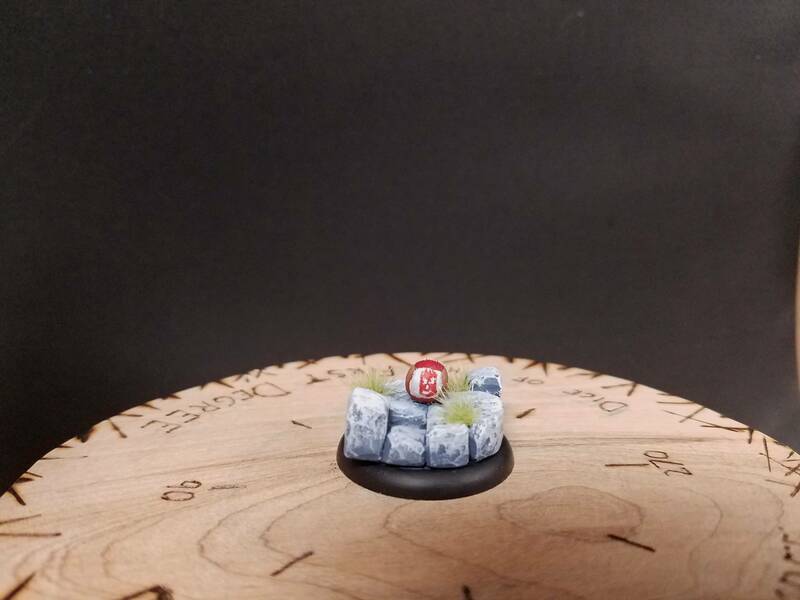 Again, important on the infantry casters. 3. Our fury management has not scaled with our forced battlegroup size. 4. Our beasts do not trade with Warjacks very well. Rok can kill a Juggy, maaaybe hurt a second. One kills him, and there goes my premium heavy because my other one is just a sad reach troll now. 5. We can't take enough support for our infantry to trade up either. 6. Borka2 is still trash. 7. Doomshaper3 is essentially unplayable, and the Mountain King is equally concerned, when ranged Grevious Wounds got handed out like candy. Every game I played was very frustrating, and by the end of a couple of weeks of playing things, I put them on the shelf and took a break til this settles out. If you're enjoying trolls, good on you. My meta's had the Guildball epidemic for awhile though, and nearly half to two thirds of the players own at least one guild, if not four. I was enjoying MK2, but with MK3 kind of chasing the matador through the china shop, I finally gave in and demoed Guildball. Right off the bat, the access to the game is pretty amazing. Everything you want is free online. Printable widgets, full ruleset, cards, even paper cutouts to try playing the game. So I printed them and my wife and I played a few games and we're pretty much hooked. 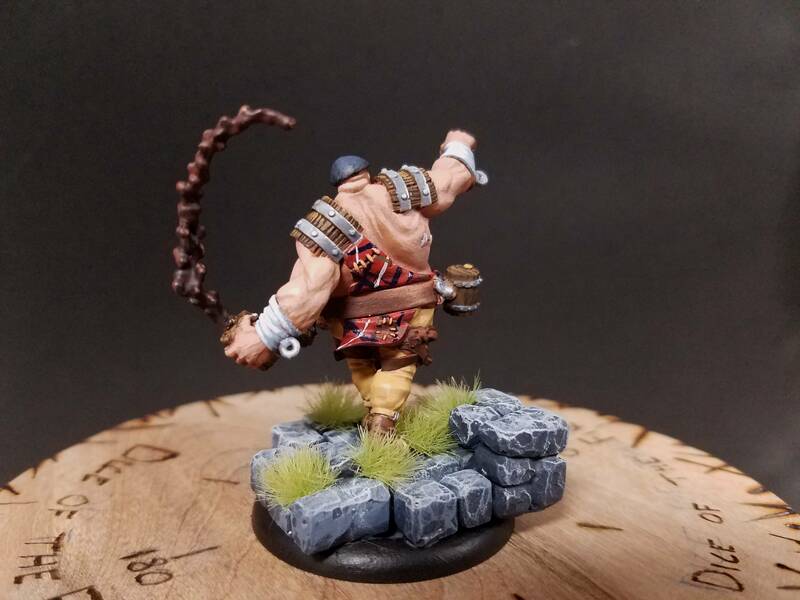 Transitioning from Trollbloods, I naturally went with the Brewers and they are some hella beautiful models. 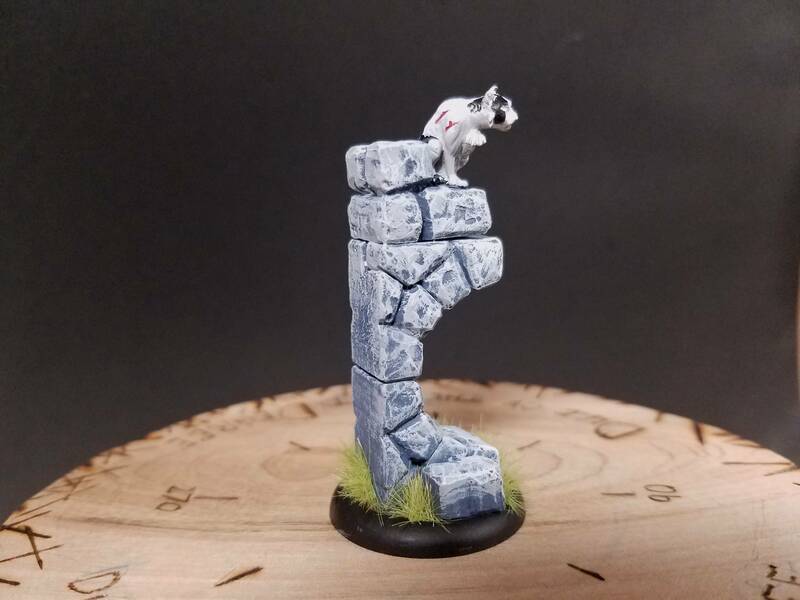 Steamforged is knocking them out of the park. 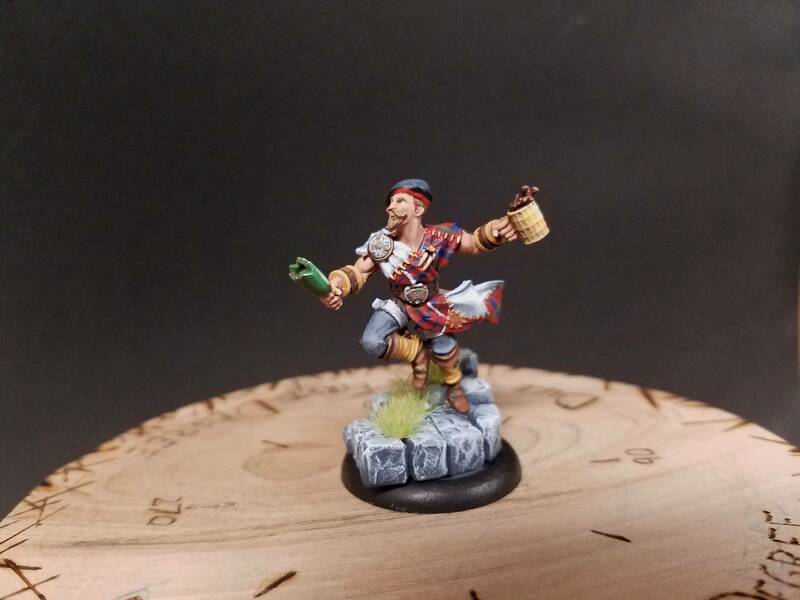 My wife tried Fishermen, but didn't like the playstyle that much, and switched to the Masons. She's still playing paper cut outs but I expect her models soon. She's thoroughly enjoying the game, possibly more than I am, so I think Guildball is here to stay. 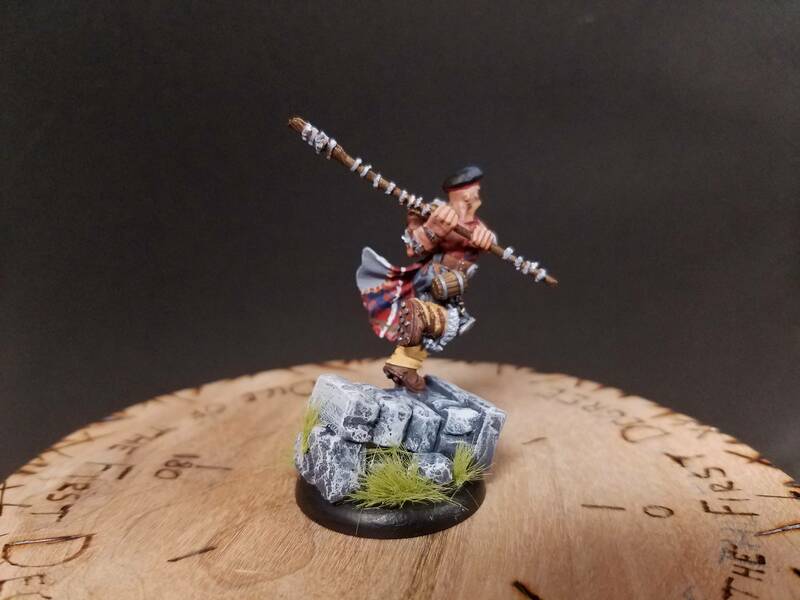 So, Guildball models. I love these sculpts for the most part. The Brewers have all been largely dynamic and exciting with the exception of the Cat and Friday. The rest of them are mid sprint or doing the action they're known for. I personally started with the Brewer's Starter Kit, and really enjoyed the Tapper/Hooper combo, so I stuck with it. I filled it out to six with Scum, Stave, and Spigot and painted all seven of them. Red is new for me. I've done a lot of black, a lot of blue and a lot of tan, so I went red on this one as my primary color. 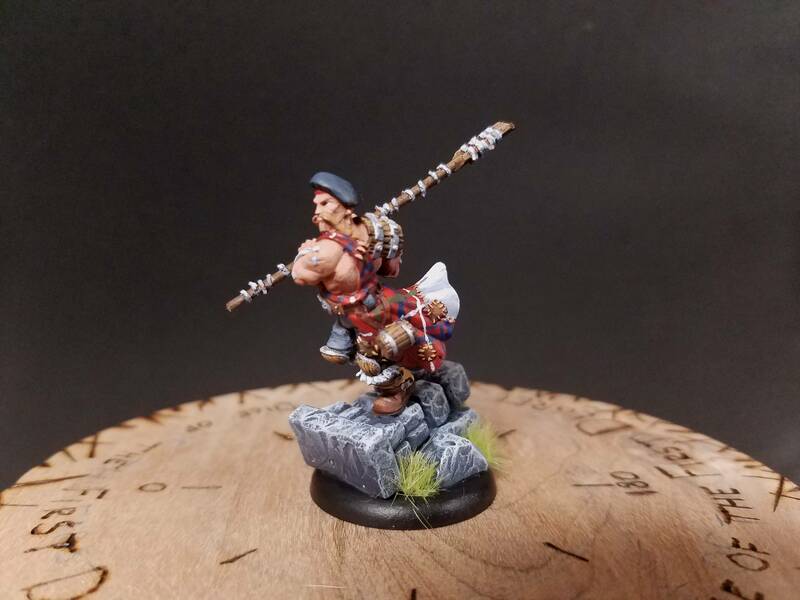 The Tartan is actually my family's, it's the Rose clan's parade tartan so I was pretty excited to use it. Tapper's my Captain right now. I literally have no idea about the game, so I couldn't tell you if I prefer him in a tournament to Ester or not. I love his sculpt though, and I've straight up one-rounded more than one player with him. My biggest problem with Tapper is that he pretty much requires the cat. Scum is ok, but I'd love to have Second Wind from Quaff or that extra TAC on Hooper or Spigot. I can't pass up a free 1/1 INF though. It's pretty hard to pin this mascot down though. He's ok towards the end of a round for getting a free extra TAC by engaging another model, but Quaff still seems like a lot more utility. 1/1 INF is so nice though. 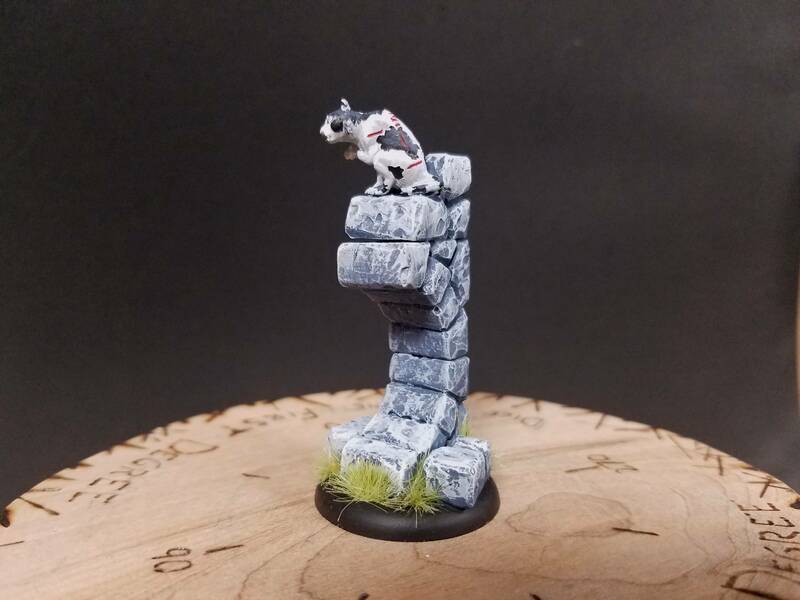 Spigot's a fun model. I've looked at the Spigot2 rules quite a bit, and I keep coming back to him. Again, I'm 6 games in, so things will probably change, but Spigot1 does so much for the team around him that it's hard to pass it up. Even Scum passes a ball decently around him. So far, most of my goals have been with him, not Friday. I've played the two of them together in every list though, and Friday's very good paired with him, but if I had to drop a striker, it wouldn't be Spigot. I bought Hemlock the other day, and she'd probably trade in for Friday or Stave depending on the matchup, and Spigot makes even her a decent kicker. Friday's been nice. She's hard to hang onto with her immediate dodge, and she's an amazing striker. I usually try to push her towards the goal and snapshot her, but people generally focus on tieing her up or knocking her down and she ends up kicking the Spigot instead who snapshots. Which also works fine. Hooper. He either kills everything or I can't keep him alive because he gets tag teamed. I really enjoy just running him around with Tapper though and ganking things. If it gets really bad, Spigot usually sprints over to help after they've KDed the guy, and really polishes him off. 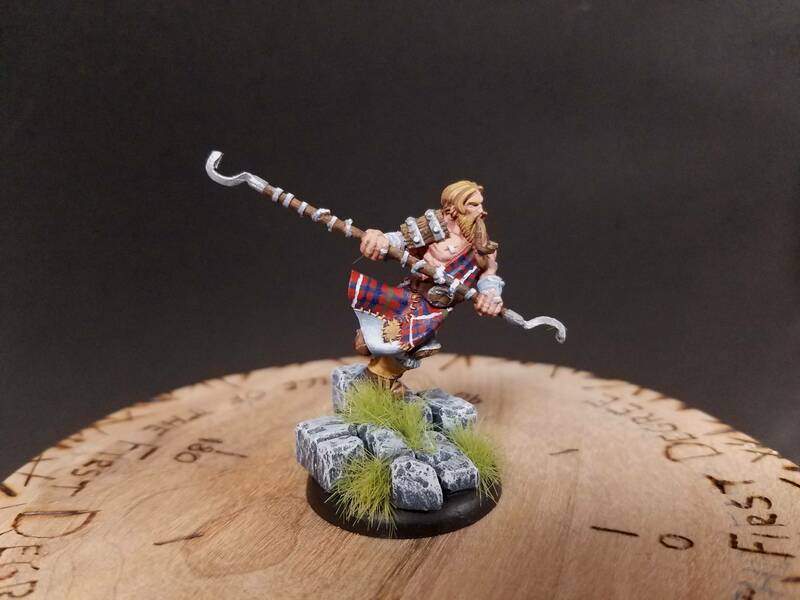 Stave, my personal favorite model in the collection. He gets a bit of a bad rep and Mash usually slides in to replace him but I've had decent beginner's luck with him for board control. He's really bad about feeding momentum to the other team, but he's amazing for really bringing in the model I want to kill. I've straight up blown the Hunter Captain and Shark into my lines where Tapper, followed by Hooper, followed by Spigot have round-one killed the guy. Heck, I even did it to another Stave in a mirror match. So, I got into this game, and my first game was a proxy game with my wife who tried the Fishermen Guild. She got wiped off the board by Tapper/Hooper stabbing things repeatedly and Friday running circles around the muggings, scoring points. So she traded them out for Mason proxies and liked those much, much more. Hammer's a legit threat. 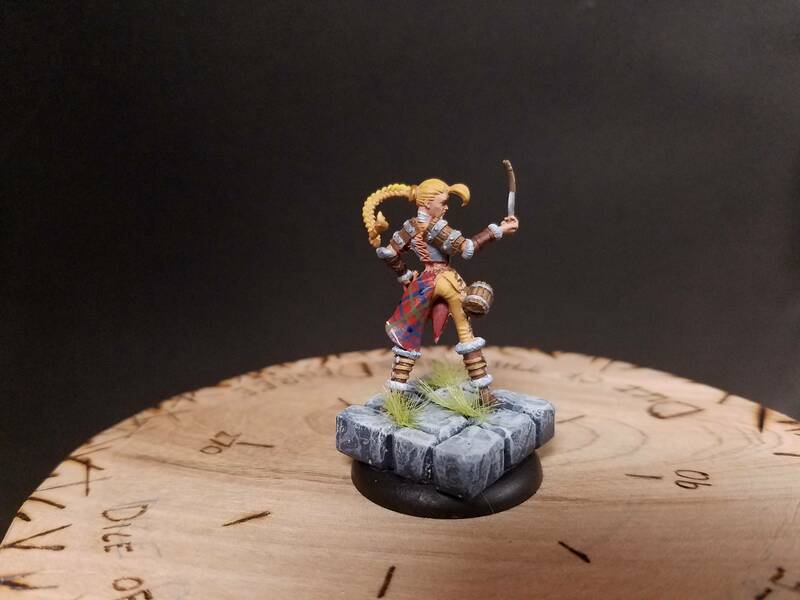 So, as of today, she has 7 Masons, the only released models she doesn't own is Hammer and Tower. She's not sure if she likes Brick, but she loves everyone else, and is looking at Union players now too. I went ahead and grabbed Mash because he's popular and I want to try him, and Stoker because he looks hella fun. I also grabbed Hemlock for that great smelling salts ability. So yeah. 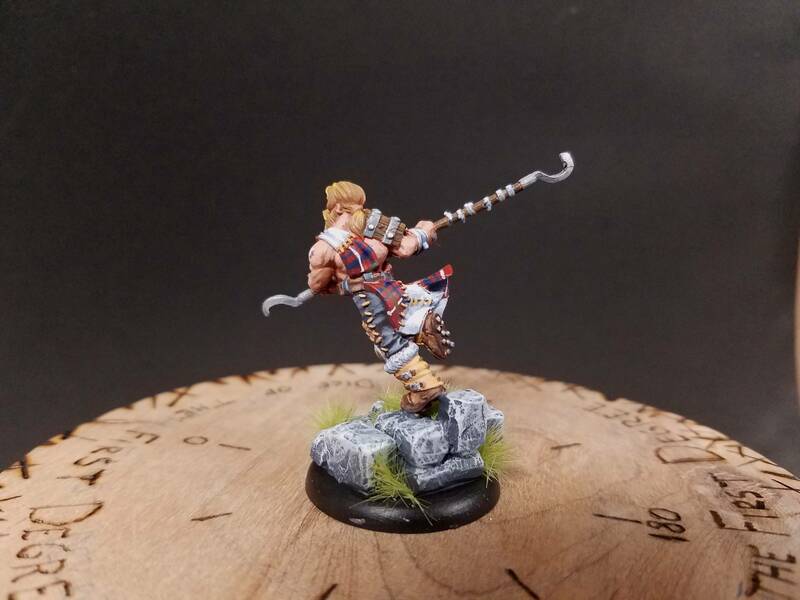 I'm a Guildball player. A lot moreso than I'm a Warmachine player. Temporary change for now. We'll see where that goes from here. 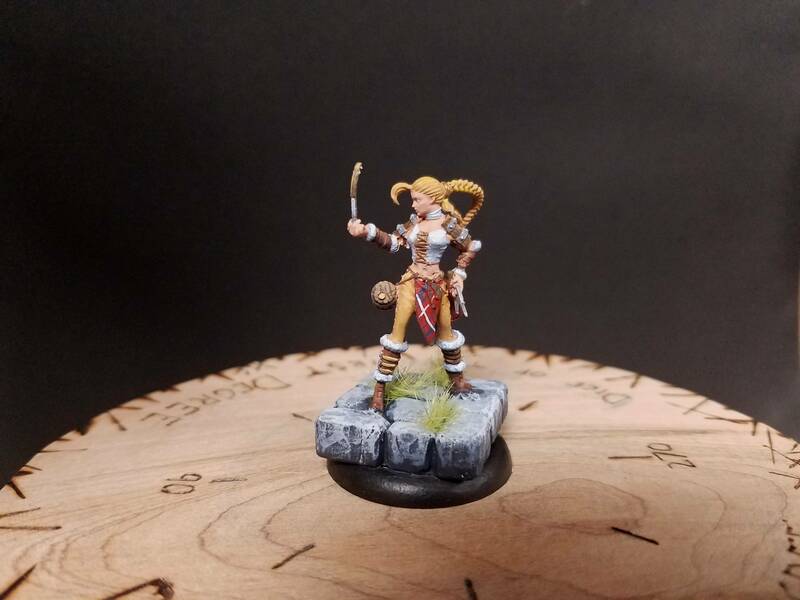 I'm thoroughly enjoying Guildball right now though, and my wife is too. 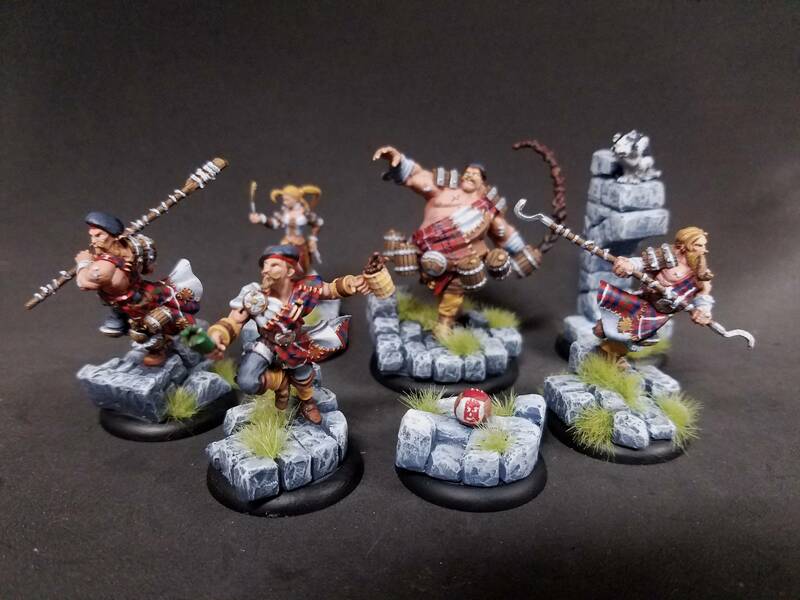 Even if certain things are addressed in MK3, I think Guildball will be pretty big for us for awhile, and I currently doubt that Warmachine will be able to take that 1st place against for a bit. Glad you're back, I enjoy the blog. Sad to see you stepping back from Warmachine but I understand. 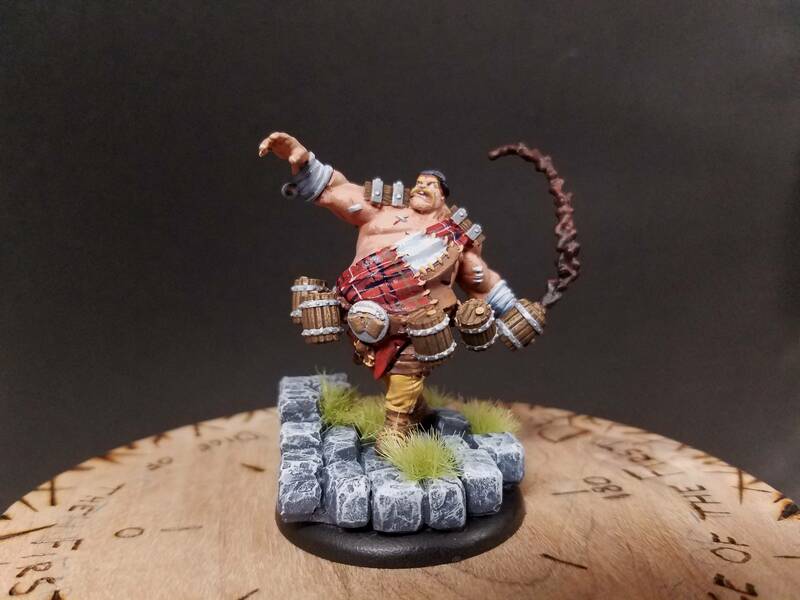 I am excited about you getting into Guildball, it's a game I've been looking at also. I started a couple of articles, but not only were none of them positive, they got pretty negative pretty quickly. I felt it best not to just post a whole page on how bad I actually thought MK3 was. 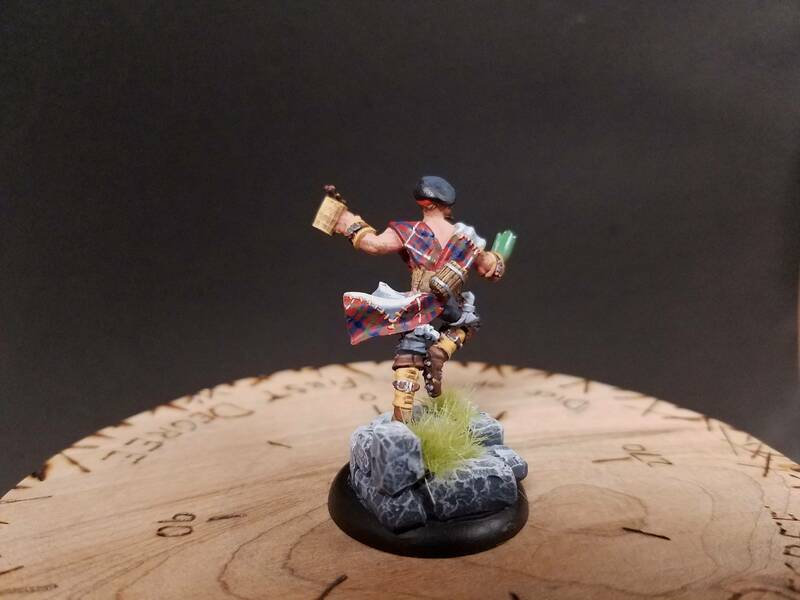 I am thoroughly enjoying Guildball though. There's a lot of things that carry over decently from WMH, but it's still a whole different game. My wife has really enjoyed the changeup as well. We're both exploring the game quite a bit and I expect we'll expand through it pretty quickly. There's still WMH I want to play, and a lot of the troll casters look like a lot of fun, and if it was MK2, they'd be A list casters. In MK3 though, idk. It's very frustrating for me to have 0 interest in building a troll list out of the probably three grand I have in models. I may come back in to Cygnar after the first errata drops, but looking at some of the things that are happening in the rules forum, I don't even know if that will happen.